Thank you for visiting The Eden Rooms website. 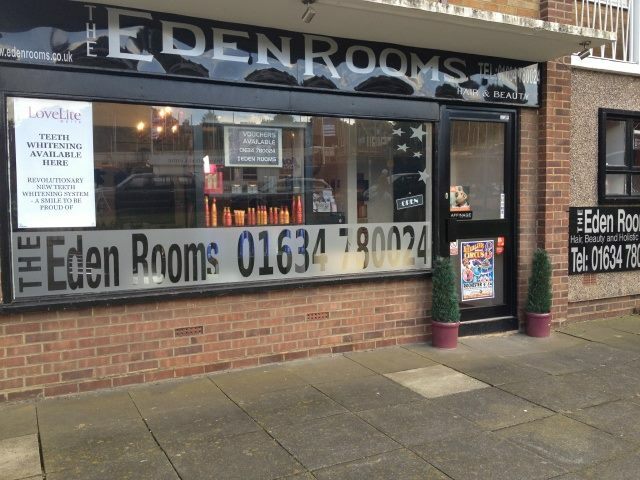 Our aim at The Eden Rooms is to provide you with a top class, personal service in our Rochester-based hair and beauty rooms. We offer a full range of hair services, beauty and holistic therapies including 100% human hair extensions, infra-red tanning bed as well as spray tanning, nail extensions, gel polish, lash extensions and teeth whitening and we look forward to welcoming you soon! We also now offer a huge range of life balance products along with fitness and weight management and would be happy to assist you in your goals. If you have any questions or would like to book an appointment, please click "Contact Us" on the toolbar above and choose your contact method, give us a call on 01634 780024 or pop in and see us! We also offer a safe and easy way to purchase vouchers for that special someone. So if you're looking to pamper your nearest and dearest, just click on "Buy Vouchers" above, follow the simple instructions to complete payment using our secure gateway, and your vouchers will be sent to your chosen address. Add "Eden Rooms" on Facebook!